As my husband and I are going through our second full watch of Star Trek as a couple, I thought it would be fun to report on the highlights along the way. 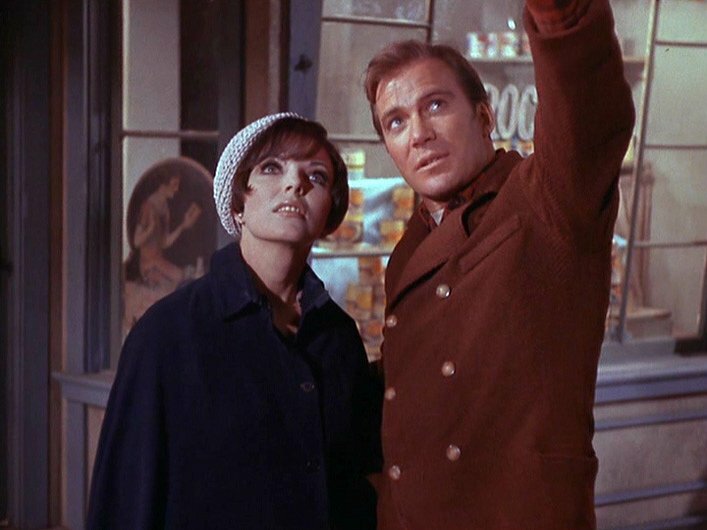 So I decided to copy the same format as Charlene at Bookish Whimsy, who is going through her first-ever run of Star Trek and sharing her favorite five episodes for each season. To compare, see what she said about her top 5 favorite episodes of the first season of The Original Series. I’ve technically seen Space Seed twice before this rewatch, once during my first watch of the series, and a second time before I rewatched Wrath of Khan one time. I wasn’t impressed with it either time. Quite frankly, though this is blasphemous to say as a Trek fan, The Wrath of Khan has never done a whole lot for me either. This time, I don’t know what happened, but I was WAY more into this episode. You know what I think it for me this time? That’s right, Benedict Cumberbatch’s portrayal as Khan in Into Darkness made me appreciate Khan as a villain, because I found him to be so much more charismatic than Ricardo Montalban. YOU HEARD ME. I have said it and will not apologize for it. Benedict Cumberbatch is not the original Khan, and Montalban was a great Khan for the original series, but for me, I could relate to Cumberbath’s performance much more. I almost believed him in Into Darkness, even though I completely knew better! He really was tricky; not clearly the abusive jerk I found Montalban’s Khan to be. 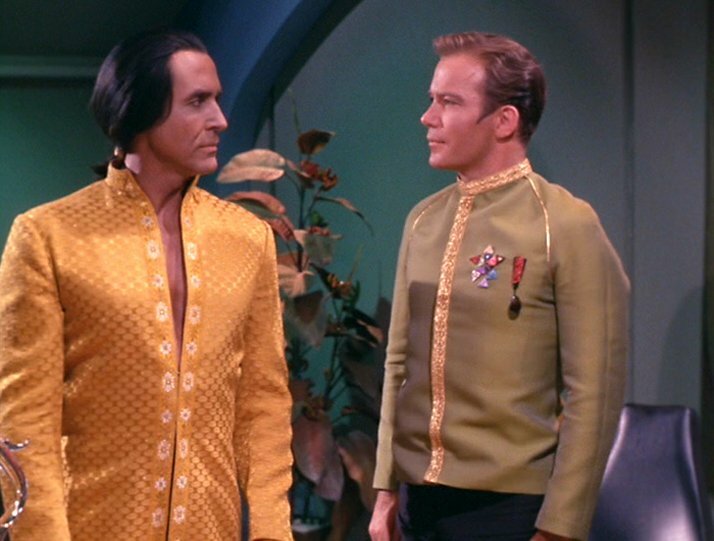 And yet, watching Space Seed again, I bought into it better, even though he wasn’t Cumberbatch. They’re both Khan and they play different dynamics of him and they both look so completely different but WHATEVER. It’s OK. I got off on a tangent, and all that is just to say I never dreamed this would make my top five favorite episodes of season one. But it did. This is technically two episodes, but I’m counting them as one since they go together. 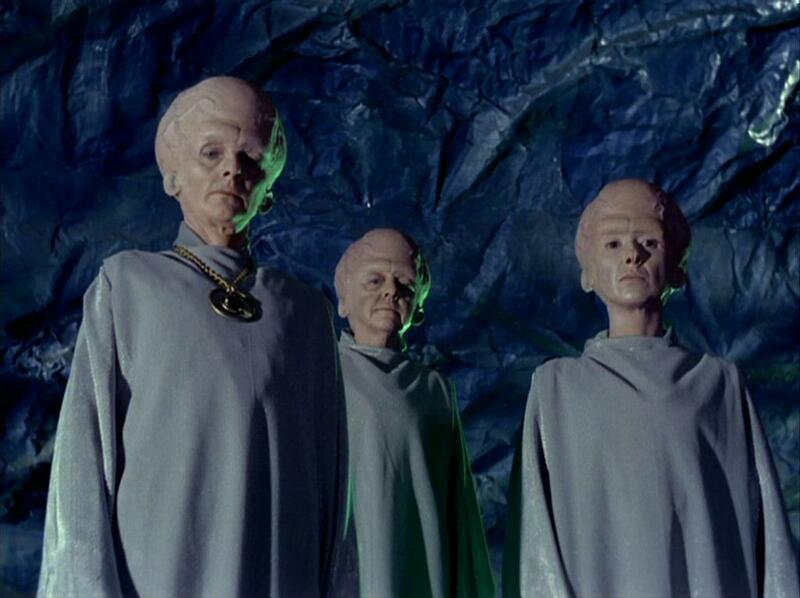 Plus, they also feature the original Star Trek pilot, The Cage, which never aired. I technically like The Cage better since it’s one storyline instead of an interesting story within a convoluted storyline about Spock completely disregarding rules to help his old captain out, but again, since it’s not really part of season one, I’m going with The Menagerie instead. I have always found the idea thought-provoking: what if you were offered the chance to live out fantasies for the rest of your life? They wouldn’t be real, but they would be everything you wanted. Would you accept it, or fight back for reality? Those kinds of questions are why I love Star Trek to begin with. I just love this episode because it is so much fun. Sulu runs around like crazy fencing, Spock has emotions, an officer named O’Riley serenades the whole ship with his off-key rendition of an Irish tune. Sometimes, you just need a fun episode. However, there is also a pretty poignant scene with Spock when he breaks down, full of emotion. How Kirk, Spock, and McCoy end up back in time is a little convoluted, but really, there is just something special about this episode. (Charlene agrees because it’s her #1 pick too!) Again there’s a question: Would you allow events to unfold as they must to save millions, if it means watching someone you love suffer? It’s good stuff, people. 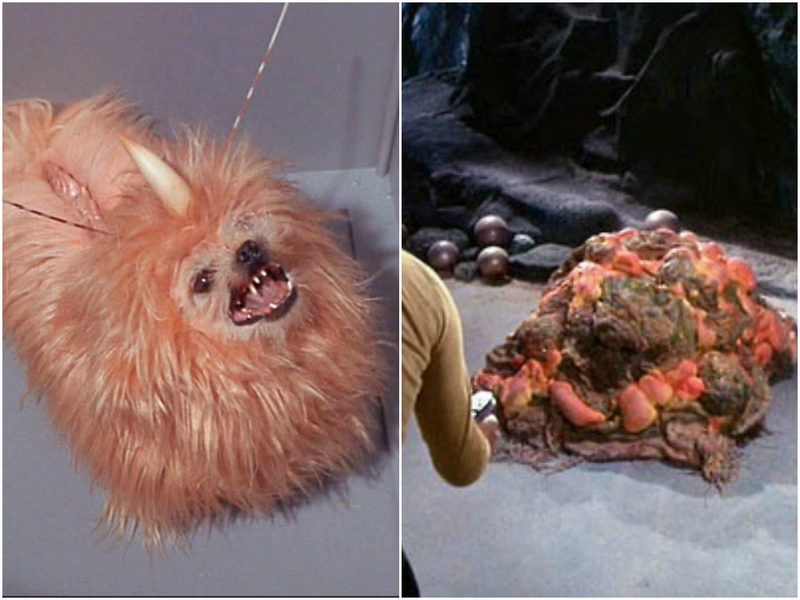 That’s right folks, it’s a dog wearing an “alien” costume and (presumably) a man underneath some sort of lasagna-looking rug (I refer to this creature affectionately as Pasta Puppy) that are my favorite aliens of season one. Forget the introduction of the Romulans or the Klingons and forget the Gorn. This is where it’s at. I also wanted to say that this season my favorite character has actually turned out to be Scotty! 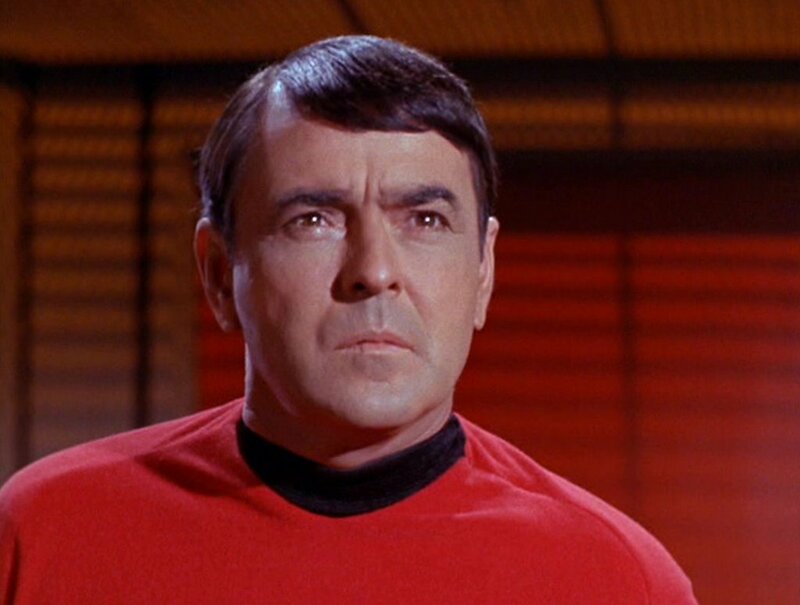 After my first time watching the original series I really loved Spock, and Spock is great, but Scotty didn’t take crap from anyone in season one, which I respect. If you’re a Star Trek fan, let me know what your favorite episodes of the original series, season one, are! This entry was posted in Geekery, TV and tagged geek, star trek, the original series, top 5. Bookmark the permalink. Yeah, you’re doing Ricardo Montalban wrong. These are great episodes! We are working our way through season one as well as you know! 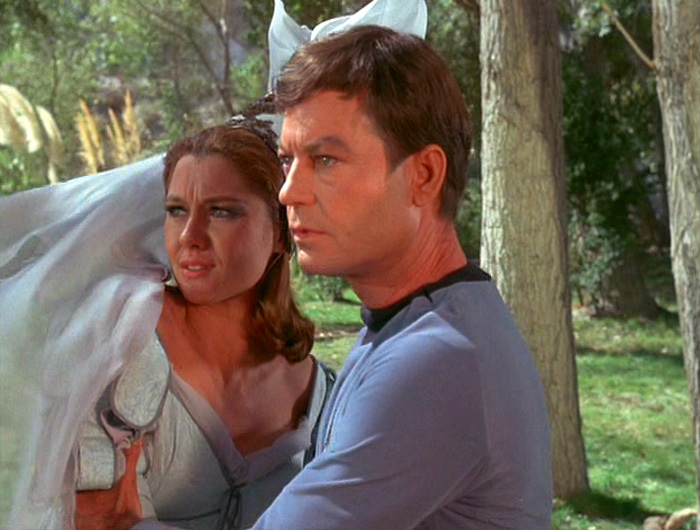 The city on the edge is an amazing episode, love shore leave as well! 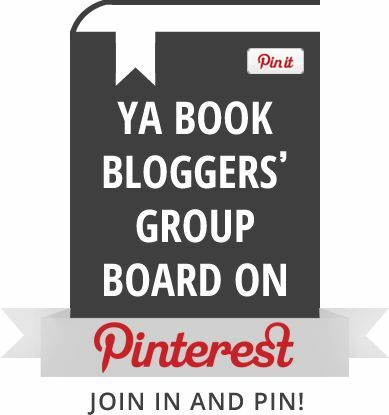 Yes, and I still need to decide what I want to guest post about and email you! So who do you find more charismatic, Ricardo Montalban or Benedict Cumberbatch? (I decided I’m taking a poll due to the previous comment.) Ask your husband for his vote too! Tough question, for me I prefer Benedict as an actor..Ricardo can be quite hammy at times but it is like comparing ice to a flame..they are very different performances both menacing in their own ways. I view Khan as a fiery and chaotic character so I would vote for Ricardo as Khan over Benedict even though I prefer Benedict as an actor. Oh, good comparison (ice and flame)! Ha ha, sorry about that! I totally respect the original role, but it was harder for me to buy into as someone I am supposed to find influential. 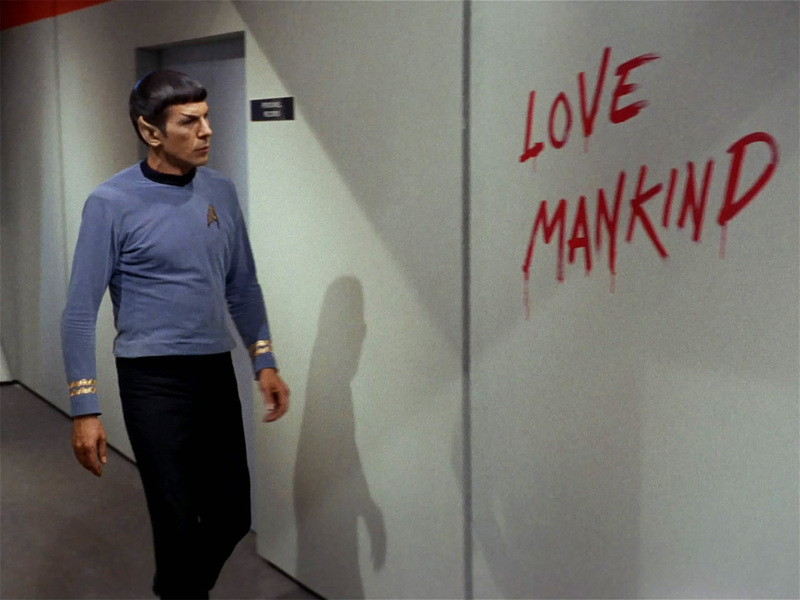 And yes, Spock’s sacrifice is a pretty amazing moment. What’s this? You prefer Benedict over Ricardo? I’ll admit, I can see why you would because I thought Sherlock was quite good as the character. “The Enemy Within” was a runner-up for me. “Errand of Mercy” wasn’t bad, and it made me wish that we could have kept having Klingons that weren’t so crazy rageful in the future series! I know, it’s blasphemous! It’s just Ricardo’s Khan is such a jerk-wad and Benedict’s Khan is more complex and interesting to me. Is that guy in the orange vest-thing supposed to be Khan? I can already feel his mediocre-ness seeping out through that picture, and he has horrible fashion sense. 😛 I loved Benedict Cumberbatch in Into Darkness, he just made such a good villain. It was creepy how small his humanity was, honestly. Ooh, The Naked Time sounds like the most interesting episode here. I’ve only seen Spock with emotion once (during that scene in the last movie), and it was so. heartbreaking. I’m not much of a feels girl, but my eyes were tearing up… even though I knew there was NO WAY he could have stayed dead because he’s the main character, lol. Really hoping I get the chance to watch this someday. Some episodes may be less-than-average, but on the whole it looks good. Overall, the first season was pretty good! Yes, there are less than stellar episodes, but most are pretty worthwhile! Khan is the one in the orangey/yellowy outfit, and he really isn’t mediocre at all. If you ever watch Wrath of Khan, which is basically the original Into Darkness, you’ll find him a pretty dynamic villain. As Alisa said in a previous comment, the original Khan is more fiery and Benedict’s Khan is more icy. They play the roles differently. But yeah, the problem I have with Ricardo’s Khan is he’s supposed to be so charismatic and attractive and I just don’t see him that way. There’s this lady on the ship that he treats really badly and she lets him, which also drives me nuts. But I hope you check it out in the not-too-distant future! I mean, you blog is called Adrift on Vulcan after all! I love your commentary on Space Seed!!! If we were in a room full of Trekkies and you stood up and declared that, I’d stand up and applaud for you 🙂 I think I’ve said before that Montalban didn’t impress me that much. Not nearly as much as Cumberbatch despite my disappointment with Into Darkness. I’d love to hear your thoughts if you do try it back out! I think it’s pretty good overall, even though it can be a little hokey at times. I think what threw me off in the past was just its general age and cheesiness, lol. But I have a feeling once I’ve devoured all the other Star Treks, I’ll still want more, and give it another try. Should I start with your favorites, or start at the beginning? If you want to try all of them, you might as well start at the beginning; The Naked Time is like the fourth episode. Just don’t stop watching after Charlie X, ha ha. Great list! I’m definitely a TOS fan. I was just watching ‘That Which Survives’ on TV last night and enjoyed it a lot. ‘Shore Leave’ and ‘The Naked Time’ are definitely some of the funniest episodes, but I think ‘Shore Leave was one of the most different because it took place mainly on a planet that looked so much like Earth (and because duh, it was filmed there). ‘The Menagerie’ was one of the first episodes I saw, so it was definitely a good one to start with (what better way to introduce what Star Trek is all about with all the philosophical thinking?). I think that ‘The Cage’ DEFINITELY would’ve made a better pilot than the real first episode ‘The Man Trap’, which was pretty bad and almost stopped me from watching the rest of the series (*gasp*). Yeah, The Man Trap really isn’t that great of an episode, and I definitely agree that The Cage would have been a better pilot! And yes to the philosophical thinking, that is definitely what Trek is about! 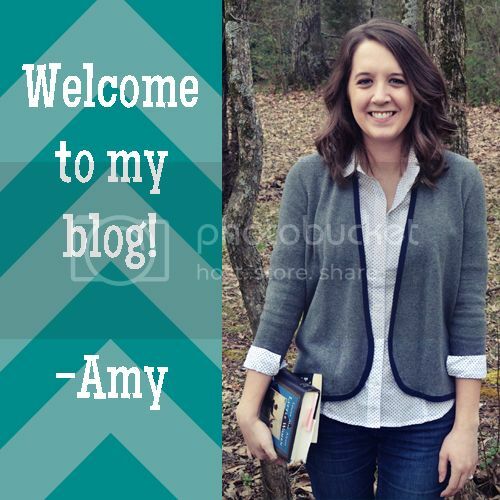 It’s always great to meet another Trek fan in the blogsphere! Definitely! Are you participating in #SciFiNovember by any chance? I haven’t officially signed up, but yes, I definitely plan to! I did it last year and really enjoyed it! I assume you are as well? I respectfully disagree with you on the Batch as Khan. If he were any other villain from classic Trek, I might be more accepting but I’ve Space Seed and Wrath of Khan and the Batch just isn’t as charismatic as Montelhban. A Taste of Armageddon was an interesting episode.